Driving an SSR directly by an MCU output is the correct way to use them, you don't need anything else. The shown SSR has a trigger current of 7.5mA with 12V. I found also a listing from 6-25 mA. Using a 5V GPIO you should ensure that the uP can drive 20mA, which is the case with the Arduino. So you can drive it directly. The data sheet of the manufactor doesn't state the need of a current limiting resistor. I know about comments that it does not work always this way with 3.3V GPIO with i.e. Rasperry Pi. These values seem to close to the limit. Also note, that this might work alone but starts to fail if you drive more things with other pins as sum of all pin currents is limited. Therefore it is still recommended to use the transistor with a resistor (1k is fine) like shown in your post. This way to trigger current does not flow over the GPIO but over the 5V supply. This is the usual connection if you drive e.g. LEDs with a uP. 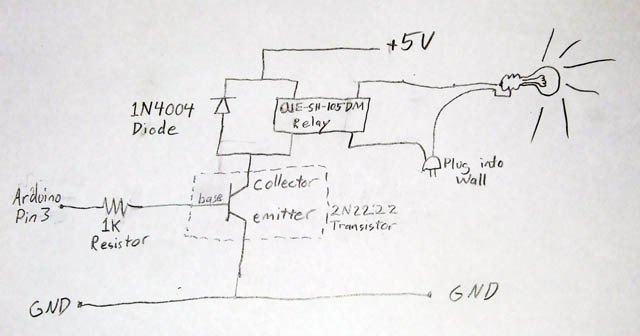 Also this way allows to provide 5V to the SSR from a uP with 3.3V logic. You don't need the diode at all for the SSR. Not the answer you're looking for? Browse other questions tagged arduino solid-state-relay or ask your own question. Which diode configuration do I need for this solid state relay?